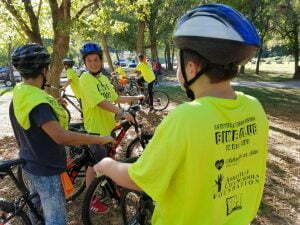 Each week AoB teaches several groups of middle school students how to ride a bike in the city. It’s a great privilege to run this program and train the next generation of riders. Now Hiring: After School Bicycle Instructor for Spring 2018 Semester. 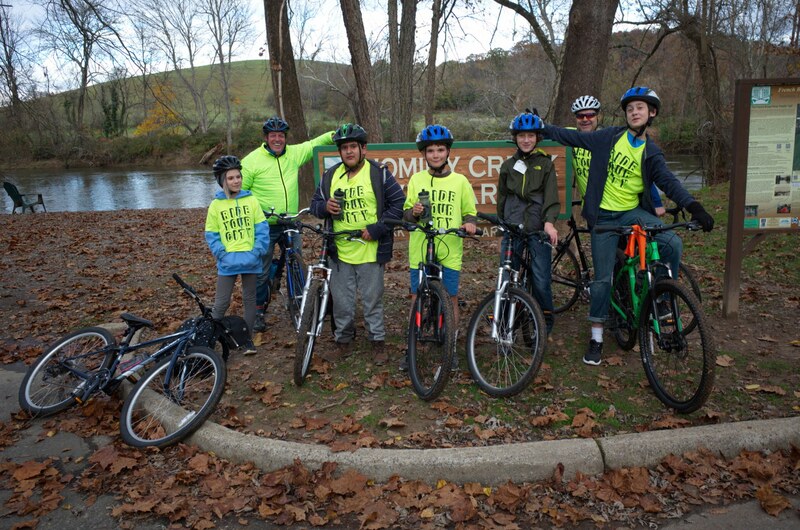 “Every Thursday afternoon we take students from Asheville Middle school to go on a bike ride. 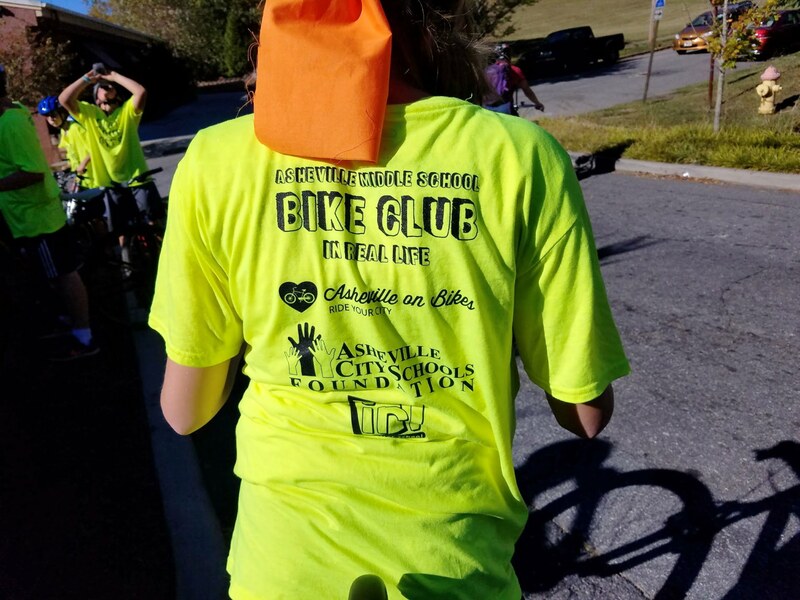 Asheville on Bikes functions as a service provider for IRL (the after school program put on by the Asheville City School Foundation) and we get to ride with them from 3:30-5:00 every week. We meet them in the cafeteria, fit them with bikes and helmets, and then take off around the city. Each week we cover a small lesson in safe bike riding. We start with the basics like shifting gears and doing power starts. We spend about 15 minutes explaining each skill, showing them hands on, and then asking them to repeat it back. Often, we ask them questions like “Why should we always pass on the left? “ or “Is is easier to climb a hill sitting down or standing up?” They always surprise me with their answers. After the skill time, we take them out to actually ride their city. And to be honest, we don’t take it easy on them. 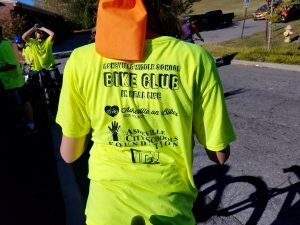 During the course of the semester we ride from Asheville middle school to Montford cemetery through downtown rush hour traffic. 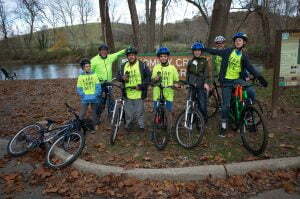 We take them to the French Broad River Park and take the lane to cross the super narrow bridge. We ask them to climb up Clingman Avenue and Bartlett Street, which have some of the steepest inclines in the area. 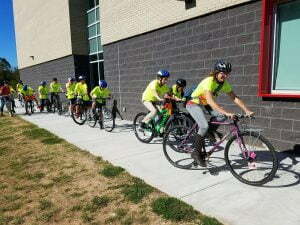 Each week I am always impressed by what these kids can do on a bike. Friends my own age would not do what they choose to do every week. For many of the students, it is a new experience. 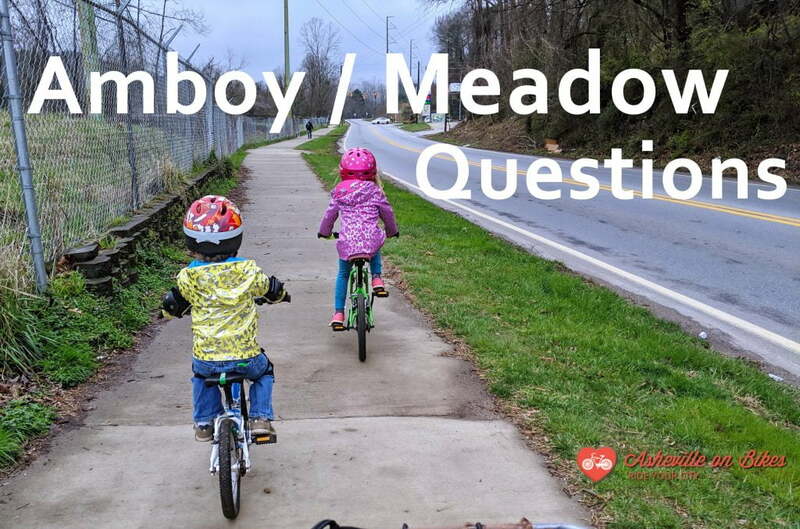 Most live in the west-Asheville-River Arts-Southside corridor and are used to driving these roads with their parents. For them, they get to experience their city first hand on their own terms. You can tell that they love the adventure and the excitement of having that independence. For some students it is a challenge. Nothing in Asheville is flat and we have to go uphill to get almost anywhere. 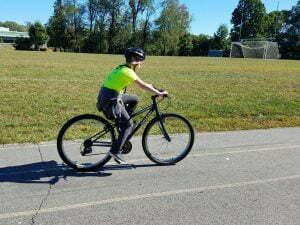 At the beginning of class, many students don’t think they can pedal up the hill (or even scarier, go down it). The class for them becomes a time where they have to face being uncomfortable or scared. While we give them the skills and encouragement they need to accomplish the task, they make the choice to do it themselves. And fortunately, many of them make that choice. You can tell when they feel empowered and accomplished after these hard moments. Every Thursday we get to see these kids step out of their small middle school world and jump into their city. They change from awkward to empowered, from scared to excited, and from indifferent to active. Each Thursday we get a small glimpse of the adult that they will be in the future.